Students and parents unfamiliar with iPads and iOS should consider attending Apple’s FREE training sessions such as "Discover your iPad," "Pages," and "Keynote." These group sessions cover various Apple software and are available at many of their retail locations. 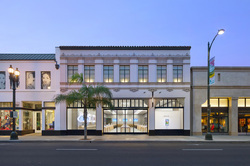 The Pasadena store’s schedule is available at http://www.apple.com/retail/pasadena/ Registration is required.